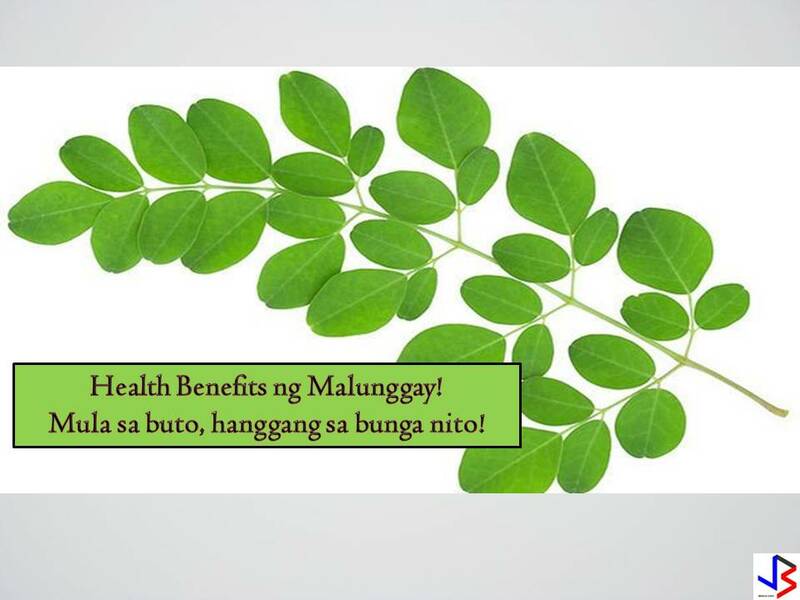 Moringa Oleifera,commonly known in the Philippines as malunggay,grows almost everywhere in the continent.The medicinal uses of the different parts of this edible plant are prominent in Asia region as well as in Europe. Most people recognizes the medicinal properties of moringa and even supported by various medical practitioners in the world. Moringa juice from its leaves is believed to have a stabilizing effect on blood pressure and relaxing effect.It is used to treat anxiety. 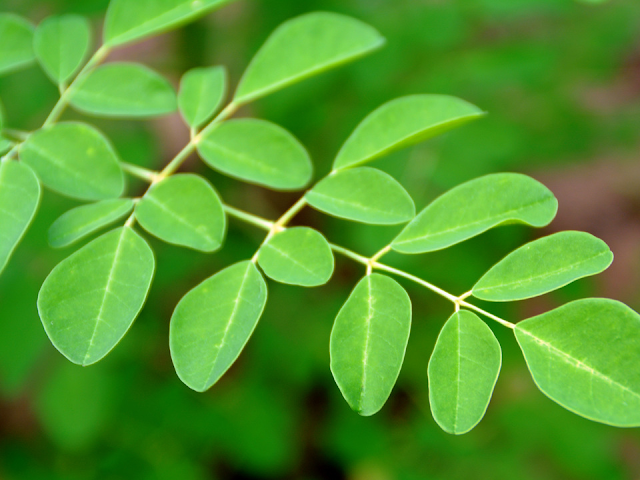 In most cases of diabetes,moringa leaves is believed to control glucose levels. Moringa leaves are used as a remedy for diarrhea, dysentery and colitis.Mix moringa leaves with honey and coconut milk in a blender and drink it 2 to 3 times a day. Leaf juice, sometimes with carrot juice added, is used as a diuretic. Eating leaves is recommended in cases of gonorrhea because of the diuretic action. A poultice made from fresh leaves reduces glandular swelling. Leaves are used to treat fevers, bronchitis, eye and ear infections, scurvy, and inflammation of the mucus membrane. Leaves are considered to be anthelmintic for its great effect in killing intestinal worms. Leaves are known for its laxative effect and is most useful in cleaning the colon. Eating leaves is believed to increase milk production on pregnant women and is sometimes prescribed for anemia. The following are just a few of the health benefits associated with moringa seeds . More research is happening every year on the medicinal value of moringa; we have only just begun to understand how potentially powerful moringa tree seeds are. High blood pressure is a serious cardiovascular issue that can lead to heart attacks and stroke if it isn’t managed. Medications are sometimes necessary, but the ideal route if possible is through exercise, a healthy lifestyle and diet, and proper supplementation. While studies have shown that moringa can lower blood pressure, these studies are preliminary and more research needs to be done on humans, so talk to your doctor before stopping any prescribed treatment for high blood pressure. For a good night’s rest, steep moringa leaves in hot water for 15 minutes and then drink before bed. It will help you sleep soundly, which in turn will leave you energized to tackle the day. A 2014 study published in Acta Histochemica reported that moringa seeds can lower blood sugar levels, which would provide therapeutic management (or even prevention) of diabetes . 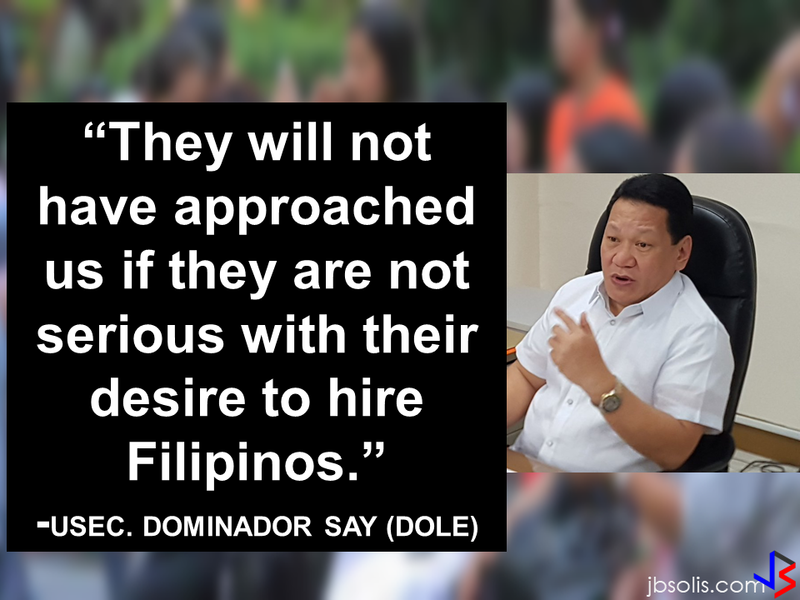 However, the study was done on lab rats and research is needed on humans before any recommendations can be made. The flowers of moringa plant can be used in many ways. 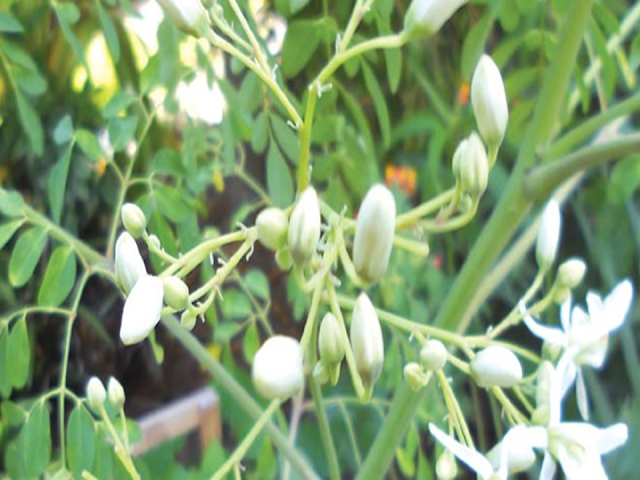 Moringa flowers are used in the treatment of malnutrition, just like moringa leaves. You can use infusion made from flowers for colds. Moringa Flowers and root contain the antibioticpterygospermin, which is highly effective on choleraand at high concentration functions as a fungicide. Moringa Flowers are traditionally used as a tonic, diuretic, and abortifacient. Moringa Flowers are considered to beanthelminithic. Moringa flowers are used to treat inflammations, muscle diseases, tumors and enlargement of the spleen. Juice pressed from the Moringa flowers is said to alleviate sore throat and catarrh. Aside from being a delicious ingredient to a delicious Filipino vegetable dish,"pinakbet",the moringa pods also has different important uses. 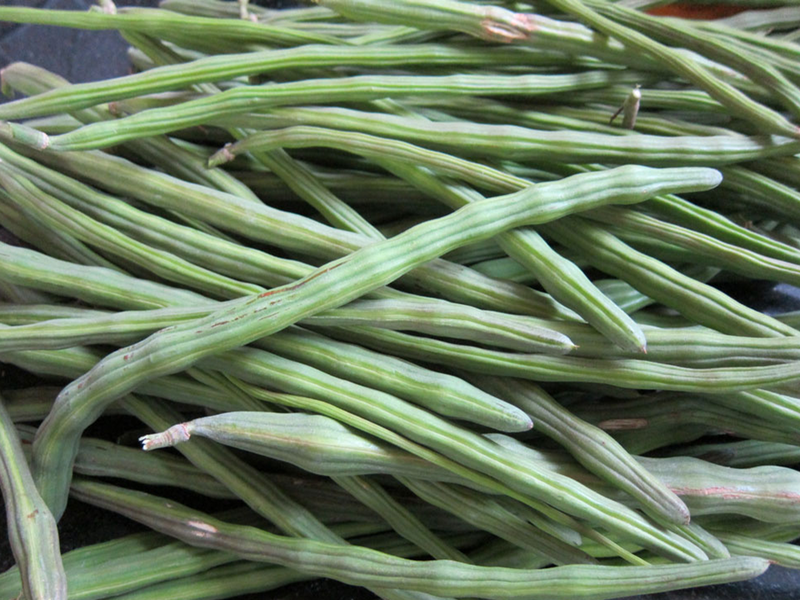 Moringa seed pods are used in the Ayurvedic medical tradition as a specific cure for worms and parasites. 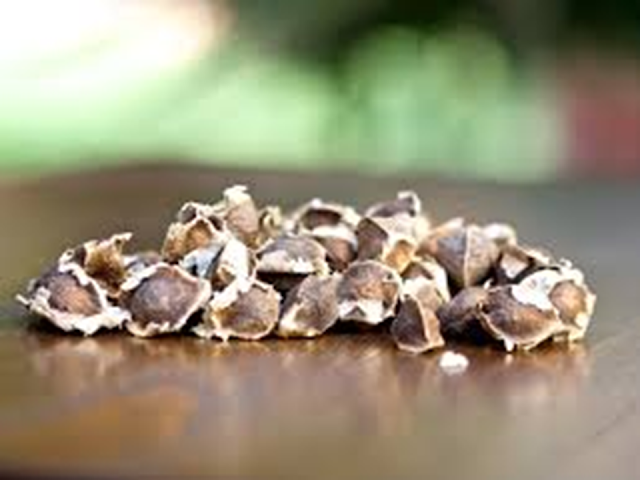 Seed pods are also crushed and applied topically to treat minor skin inflammations, warts and infections. The oil contained in the seed pods can be used to reduce inflammation caused by arthritis, rheumatism and gout. Moringa seed pods contain complex chemical compounds with antibiotic and antioxidant properties that can boost the body’s own natural immune system. As a result, the seed pods are often recommended by Ayurvedic practitioners for patients with digestive upsets and abdominal tumors. Moringa seed pod husks are a bountiful low-cost source of activated carbon, an important medical tool in the treatment of ingested poisons. Unlike other sources of activated carbon that can require extensive processing prior to use, moringa seed husks can be processed using single-step steam pyrolysis, a simple method that can be performed even in remote areas and without advanced technological tools. The chemical compounds in moringa seed pods have also been scientifically proven to reduce swelling and inflammation, making them valuable treatments for arthritis and other inflammatory diseases. Moringa seed pods are currently being used to purify water in a number of remote areas where technologically advanced methods of water purification are not practical. The oil contained in moringa seed pods contains a natural coagulant that interacts with impurities in the water and allows them to settle safely to the bottom, providing fresh drinking water in areas where dirt and other contaminants typically render water supplies unsafe for human consumption. Because moringa seed pods are completely nontoxic and safe for consumption themselves, the resulting water is safer for drinking and other personal uses. Additionally, crushed moringa seed pods can often be acquired at little or no cost from industrial sources that produce this seed pod presscake as a byproduct of moringa oil extraction, making this water treatment method a cost-effective and efficient use of limited resources in less developed parts of the world.